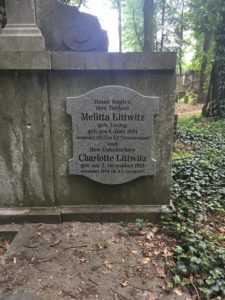 During my time in Wroclaw, Poland, I participated in a service-learning project at the New Jewish Cemetery, in helping with the restoration process. This cemetery is unique based on its history and the condition it was left in. The cemetery opened in 1902 in the city that was once called Breslau and was a cemetery for German-Jewish citizens. After World War II, Poland’s borders were shifted to the west, transforming the former German city into the Polish city of Wroclaw. In the territory Poland overtook that was once part of Germany, the Poles tore down and destroyed any signs of German culture including statues, monuments, street names, building names as well as cemeteries. 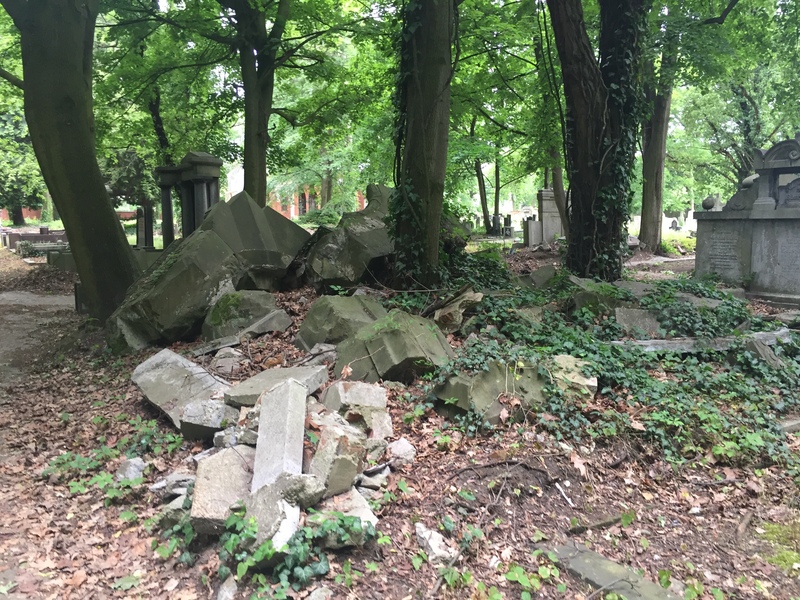 The destruction of the New Jewish Cemetery started in the postwar years, and continued on in the 1980s, 1990s and even into the first decade of the 21st century. 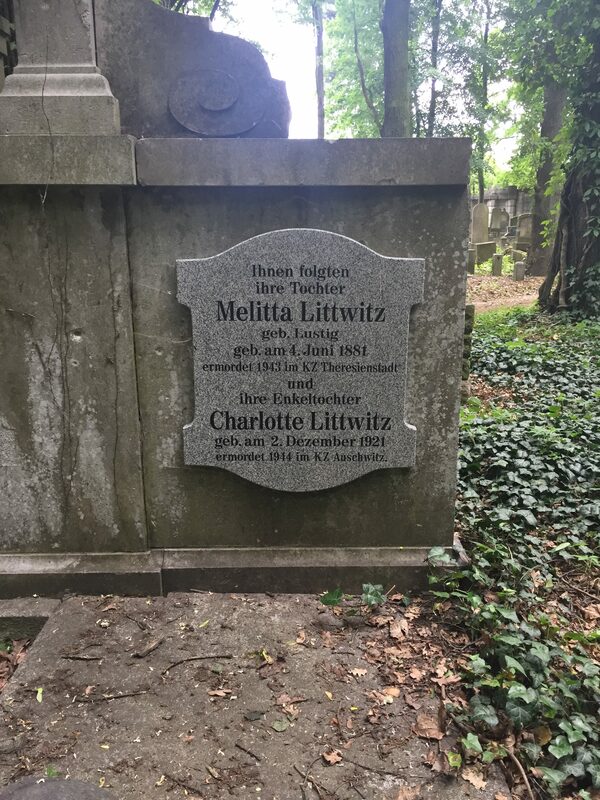 Some local Polish citizens trespassed onto the grounds, destroyed and vandalized the cemetery by robbing gravesites, tearing down headstones, spray painting disrespectful graffiti on memorials and the cemetery walls. The cemetery fell in good hands in 2010 when Piotr, a memory preserver, stepped up to the plate and took charge of this very intensive and time consuming restoration project. My group played an important part in recreating a portion of the cemetery by reorganizing and remapping fields to reestablish a systematic order where the graves were once placed. We worked in Field 6 and discovered an estimate of 166 burials. With lost records over the years, very little information about the names, dates and numbers remain. Many of the inscriptions on the graves were weathered away over time by not being maintained or well kept through the abandoned years. At particular times during our work, it was difficult to decipher the wording on the headstones and some spots in our field had no remaining gravestone, so we had to assume a stone once stood there. As we tried to organize the plots by numerical order, which indicated the order of burial, some graves had numbers still engraved into the gravestones and some had number markers on the ground with the name of the individual buried below. These were the graves that made our job easy. When we were going through the plot numbers and names we also had to judge the status of the gravestone. If the gravestone was still fully standing, with readable inscriptions or not, it was considered preserved. If the grave had very minimum left of the gravestone, it was considered partially preserved and if there was nothing remaining not even a small piece of stone lying on the ground, it was considered not preserved. My group and I drew a map and color-coded the conditions of the individual graves. The results of our work, in which would be added to a memory book that will help with recreating the lost records of the cemetery. My first impression of the cemetery was upsetting. Most of the cemetery’s I’ve visited in the past have been well kept and maintained and some of the most peaceful and beautiful places to walk through, offering a space to remember loved ones, who have passed. At one time, this cemetery was a beautiful place to rest in peace and to visit your loved ones. However, its current condition really moved me in such an indescribable way. Some of the thoughts that came to mind were how could someone trespass and vandalize property in such a disrespectful way and get away with it? It also makes me wonder how individuals and their families feel when they visit their deceased loved ones and there’s nothing left of the memorial. In postwar years, Poland tried to wipe away every bit of German history in the city of Wroclaw, including cemeteries. But the New Jewish Cemetery illustrates that the past can never be fully destroyed or covered up. Something always remains above ground and below. This experience has opened my eyes in many ways, especially recognizing all of the work Piotr has put into the reconstruction of the cemetery over the last seven years. I am very proud of our work and the contributions we made. The work wasn’t easy, but I hope it will make an immense impact. 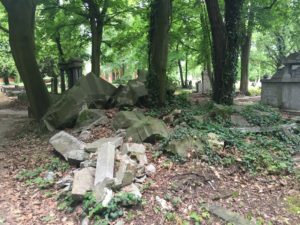 I can only imagine how much more work is ahead and hope that the New Jewish Cemetery will be restored back to the beautiful place it once used to be.